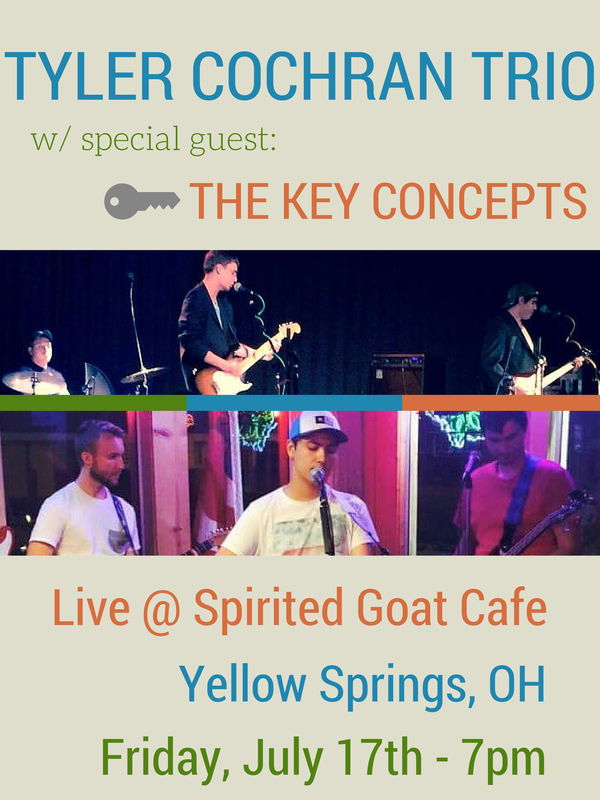 On Friday, July 17th, the Tyler Cochran Trio will head to the Spirited Goat Coffee House to perform in Yellow Springs Ohio for the first time. The Trio will be joined by fellow Vandalia natives, The Key Concepts. The lineup for the evening will be Nick Swink on bass and Zach Grove on drums.